A Print and Make Paper Building System! Poplocks Free Forms are a "print and make" paper building system. Print and cut out all of the parts and then use the special Poplocks connectors to connect pieces together. Print the Poplocks Free Form PDF on cardstock 67 lb. thickness or greater. You can purchase cardstock at various office and art supply stores. 1. Cut out all shapes around the black lines. A ruler and a craft knife can help make long, straight-line cuts. 2. Remove circles with a 5/8" circle punch or carefully cut them out with a craft knife. 3. Fold Poplocks along the dashed lines. The more parts you make, the more you can build. 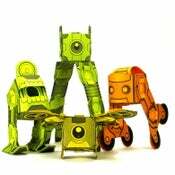 Animals, robots, vehicles, real flying toys, and more! Poplocks connect pieces together! Line up two or more holes, fold and hold the Poplock then insert "feet-first" into the hole and PRESS to Pop and Lock! Line up, insert, pop to lock! 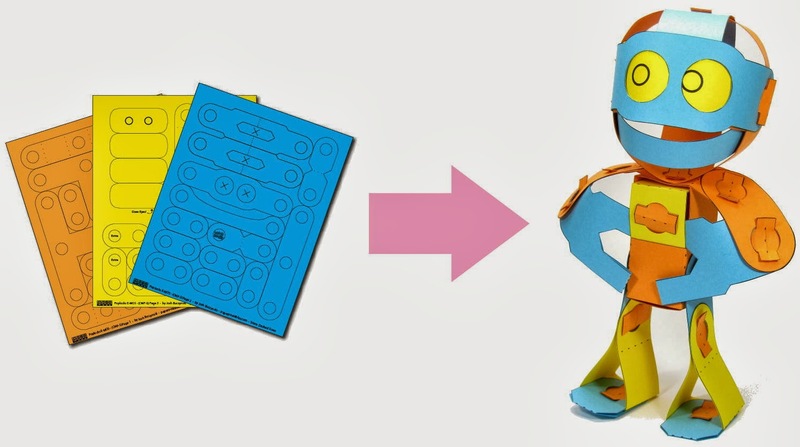 Any single Poplock connection can ROTATE, so you can easily create pose-able paper toys with arms, legs, tails, ears, and more! STACK two or more Poplocks, they will form a tighter connection. 4 Poplocks will LOCK two Free Forms parts together so tightly, they will not rotate! More than 4 stacked Poplocks are hard to insert! You may have trouble connecting 5 or more stacked Free Forms parts with any number of Poplocks. 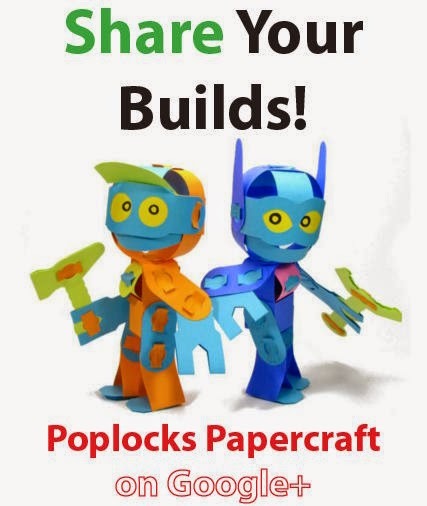 Join the Poplocks Papercraft Community on Google+ to share designs that you've built or created! Poplocks designers like Josh Buczynski, James Fritzler and Bill McIsaac are there to answer your questions too! 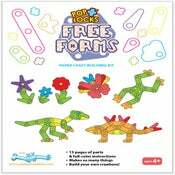 Buy Poplocks Free Forms Pre-Cut! Save time when you buy Poplocks Free Forms in pre-cut packs. 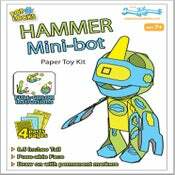 Cardstock in Bright Colors and no cutting - just pop the parts out of each sheet and start building! 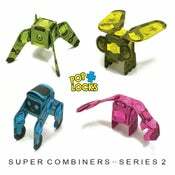 You can also find premium templates to print and make cool characters like Gupp-E 2.0 or the Super Combiners!